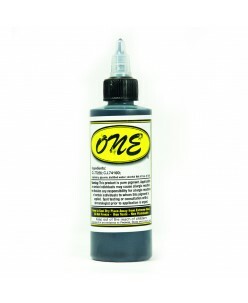 One Black (120ml.) We are proud to provide you with One black shading ink, an ink used for almost everything including line work, shading, tribal work and cover ups. This brilliant ink will help to cut down the amount of time you spend doing tribal work as it has a brilliantly strong black pigment. It is also great for enteri..